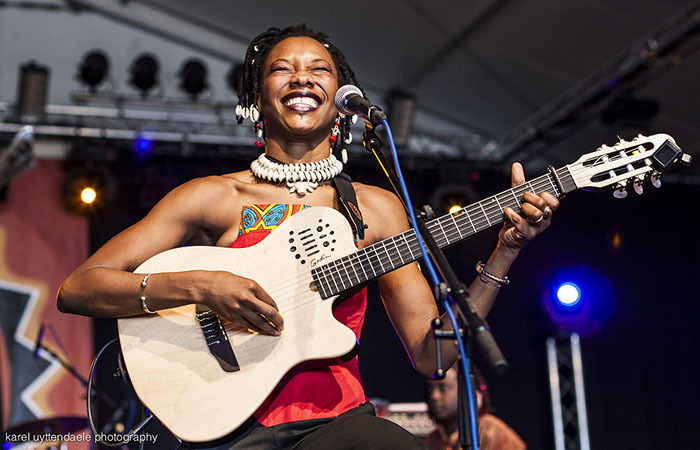 The Malian sensation Fatoumata Diawara is fast making her name around the world. The move to France first got her recognised and now she is one step away from the world. A woman who has near perfect-pitch, Ms. Diawara, like most African singers does not necessarily rely on pitch to the extent that an European or an American vocalist would. Rather she sings in minute quarter-tones, modulating her voice with great skill to negotiate even the most wildly undulating lines. This she does in her album Fatou with great effect, despite sounding somewhat low-key most of the time. Ms. Diawara is also an accomplished guitarist and accompanies herself as she sings. She is also a fine composer, writing lyrics that swirl with romanticism. Her lyrics contain inner rhymes and when combined with the rhythm of her music have a wonderful lilt to them. This beguiling and often hypnotic rhythm is informed by the swagger of camels in a caravanserai making their way across one of the great deserts of Africa. On this recording Ms. Diawara has assembled a magnificent ensemble and she varies the combinations of rhythm sections as she strives to make minute changes in the tone of her music. She is a clever musician and makes her ensembles do her bidding like Malian diva who is singing short narratives in her native tongue. There is also, at times, an intimate aura about her vocals, almost as if she is shy of the effect that she is having on her audience. This should not be seen as a weakness because of course it is not. Only that she is being beguiling and seductive. Consider the wonderful undulations of “Sonkolon” where the vocalist is absolutely mesmerising as she sings just half a beat ahead of her own guitar and that of electric guitar and the n’goni. There are several other moments on the recording where Ms. Diawara makes her presence felt by eschewing flash in favour of allure. Musically, the recording is a generous fusion of roots-orientated Malian music with gently rocking western guitars and bass introduced in the mix. But this is never intrusive. The Malian-French production also includes such luminaries as the great kora player, Toumani Diabate, who plays magnificently on “Mousso”. Ousmane Keita is equally memorable on Kamel n’goni, a hunter’s lute that he plays with great virtuosity. Other notable performances are by the former Led Zeppelin organist and bassist, John Paul Jones, who lays down the bass line with a great deal of gentility on “Sonkolon” as the chart makes its ululating way through chorus after lyrical chorus. This album may not have the flash and spin of some of the more popular African albums, but like the great Berber ensemble, Terrakaft, it is charged with an emotion that burns with a cold blue flame. That is the kind of crepuscular beauty that Fatoumata Diawara imparts to her extraordinary music, one lyric at a time. And this is what makes the album so endearing and memorable in its own way. *Concert for Mali: Fatoumata Diawara with Bassekou Kouyate (A Celebration of African Music) – Saturday, February 1 at 8 pm | Koerner Hall, Toronto. Tickets are $30-$70 and are available online at www.performance.rcmusic.ca, by calling 416.408.0208, or in person at the Weston Family Box Office. Track List: Kanou; Sowa; Bakonoba; Kèlè; Makoun Oumou; Sonkolon; Alama; Bissa; Mousso; Wililé; Boloko; Clandestin. Personnel: Fatoumata Diawara: vocals, guitar, calabash (1), shaker, clave (3), oudou (4), karyniang (11), claps (12); Ousmane Keita: Kamel n’goni (1); Boris Perishoff: keyboard (1); Alioune Wade: bass (1, 9); Moh Kouyate: electric guitar (2, 3, 4, 8, 10, 11, 12); Seb Rochford: drums (2, 5, 10); Sola Akingbola: percussion (2), conga (3, 7, 8), drums (7); Hilaire Penda: bass (2, 5, 8, 10, 11, 12); Madou Kone: calabash (3, 4); John Grandcamp: drums (3, 4, 9); Leon Richard: bass (3); Guimba Kouyate: n’goni (5, 10), guitar (9); Leon Richard: bass (4); John Paul Jones: bass (6); Thomas Grommaire: guitar (7); Papua: bass (7); Toumani Diabate: kora (9); Francis Arnaud: drums (12). Malian singer Fatoumata Diawara (aka Fatou) was born of Malian parents in the Ivory Coast in 1982. As a child she became a member of her father’s dance troupe and was a popular performer of the wildly flailing didadi dance from Wassoulou, her ancestral home in western Mali. She was an energetic and headstrong girl and at the age of twelve her refusal to go to school finally prompted her parents to send her to live and be disciplined by an aunt in Bamako. She was not to see her parents again for over a decade. She made the decision to dedicate herself to her passion, music. 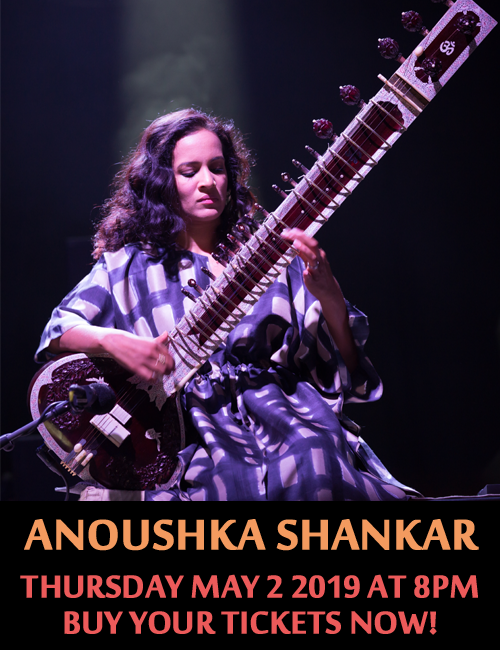 She worked to complete an album’s worth of songs and started recording demos for which she composed and arranged all the titles, as well as playing guitar, percussion, bass and singing lead and harmony vocals. An introduction from Oumou Sangaré resulted in a record deal with World Circuit and the recording of her debut album. Between recording sessions she found time to collaborate on Damon Albarn’s Africa Express and contribute vocals to albums by Cheikh Lô, AfroCubism, Herbie Hancock’s GRAMMY winning Imagine Project and Orchestra Poly-Rythmo de Cotonou. Fatou’s EP ‘Kanou’ was released on 9 May, followed by her debut full length album ‘Fatou’ on 19 September 2011 to much critical acclaim. The album was awarded No.1 album 2011 in the world music charts, where it remained for 6 months. It was also given No.1 in several end-of-year album polls including The Times and Mojo. 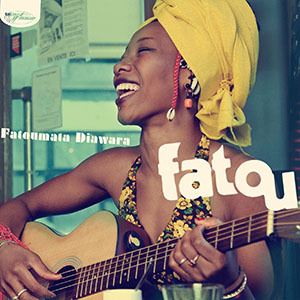 Following the release Fatoumata performed as part of Damon Albarn’s album and live project ‘Rocket Juice and the Moon’ (Honest Jon’s) which featured himself, Tony Allen and Flea. Fatou also featured Roberto Fonseca’s recent release ‘YO’ and on Bobby Womack’s album ‘The Bravest Man In The Universe’ (XL) which was co-produced by Damon Albarn and Richard Russell. In September Fatou 2012 boarded the Africa Express Train with Damon Albarn, Baaba Maal, Amamdou and Mariam, Nicolas Jaar, and the Noisettes, amongst many others. The tour was a huge success selling out each venue it played in. The show culminated in a 4.5k venue in Kings Cross where Fatou performed with Paul McCartney.